Four months ago, FTW boldly went where many have tried to go before. 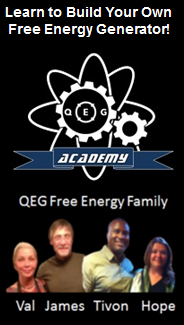 We embarked on a mission to create a free energy device that will be distributed directly to the people. 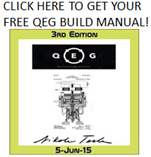 We call this device the Quantum Energy Generator, or QEG. I am now here, living on the property where the QEG is being assembled, observing its progress. It is almost complete, and we will soon be flipping the switch that can change the world. The QEG is a crisp, clean, and modern device based on Tesla’s public domain design and built with incredible engineering precision (for example it has over 300 precision cut steel plates each at 18 ½ 1,000ths of an inch thick). The QEG is portable, the size of an average home generator, can easily hook up to your existing electrical system, and weighs approximately 120 pounds. The QEG can power your entire home, several of them can power anything from a skyscraper to a cruise ship, and you will never have to pay an electric bill ever again. Let’s take this a step further and think about the millions of people in our world that live without a source of power. No refrigeration to store food. No power to purify their drinking water. No power to give them access to the internet or communications with the rest of the world. No power to create and store medicines that could save their lives. 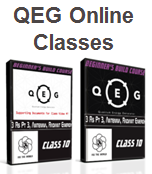 How could the QEG change their lives? WE HAVE AN URGENT NEED FOR YOUR HELP AT THIS TIME TO COMPLETE THE NEXT STAGE OF THIS PROCESS SO THAT WE CAN BEGIN TO TAKE PRE-ORDERS. $14,000 = all inclusive cost of building 2 QEG’s at $7,000 each. $6,000 = for additional equipment needed: oscilloscope, drill press, arbor press, current clamp. We cannot do this alone, this is a breakthrough brought to the people, by the love and donations of the people. PRE-ORDERS WILL BE LIMITED. SO THOSE WHO DONATE TO THE CAMPAIGN AT THIS TIME WILL BE THE FIRST IN LINE. « “I’m Standing on a Free Energy Device and I’m Ready to Flip the Switch!”: Several Major Updates from HopeGirl and the Fix the World Organization January 2014. You know the history of repression of free-energy devices; If it works, it will be suppressed unless you publish so widely that it cannot be suppressed. I suggest you email a package of plans to all your funders and designate it public-domain so that I can be posted widely by many. 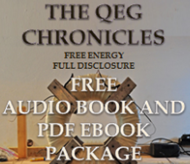 If your fear of someone else making profits from the QEG prevents you from publishing plans, you will probably achieve the same result as all other inventors of free-energy devices – no result. BTW your video mentioned 70,000 suppressed patents. Where did you get the idea that patents can be suppressed? All patents are published and available at many libraries and online. Perhaps you mean patent applications that were not granted? Do not ever patent a device you want out to the public ! There is no exception from this rule. You reap what you sow, so not to worry. I have sown already a seed in shape of money I have donated and don’t worry about anything else at all. A Patent Trust along the lines of Open Source licenses is what we have been considering. Something where a design can be registered and protected against commercialization. I agree that trying to patent it is not aligned with the guidance you received during it’s development and would only start the repression process. I’m an ex carpenter, Since 2002 . Disabled now though my job. Very difficult in the uk.:( . I Always wonted to see this device come in to humanity’s hands, since 2008. This is my Third time Ive seen these device’s come and go. I’m wishing from AL my heart, that humans get this tech. Knowing this is out there gives me hope. Thank you. Patents are evil to begin with. It is counter-altruistic. It suppresses human evolution and hinders progress. Patents are an intervention in the free market which ultimately raise the cost of ordinary goods quite significantly. Quantum Energy belongs to humanity just like Sunlight and Oxygen, any means to generate it should not be in a control system such as Patents. 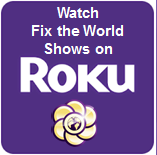 To fix the world we should get rid of the patent system! a patent may very well serve to show who contributed what to a community as opposed to now … where a patent shows the “taker’s when and what to take … like cherry picking … and bestows the wealth to an individual ..
or a pat on the back to the inventor … no money ….